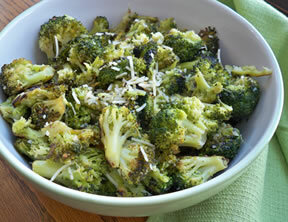 Roasting is a no-fuss way to add a boost of flavor the next time you are serving broccoli. 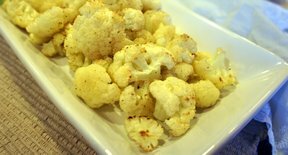 The addition of garlic and a little parmesan cheese pairs nicely with its savory roasted flavor. Preheat the oven to 400 degrees F. Line a large baking sheet with foil and lightly spray it with cooking spray. 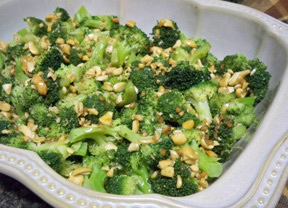 In a large bowl, combine the broccoli, olive oil, lemon juice, and garlic. Sprinkle with salt and gently toss all together until broccoli is evenly coated with the oil. Spread the broccoli out on the foil-lined baking sheet in a single layer. 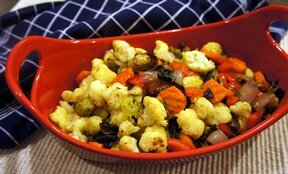 Place in the preheated oven and roast for 15 minutes. Remove from the oven and gently toss the broccoli on the baking sheet and then return to the oven. Roast for another 15 minutes or until lightly browned. Remove from the oven and place in a serving bowl. Sprinkle with pepper and parmesan cheese. Toss gently and serve. "We love broccoli so I was looking for a new way to prepare it. I had never roasted it so I thought I would give it a try. Everyone really liked it but I thought it was just OK. I guess I prefer it just steamed to a crisp tender and seasoned with a little salt."